Looking your best should not always be a mission. If you find yourself coming up with ways to hide your teeth, like covering your mouth or adopting a close-lipped smile, it is past time to seek a solution to bring the happy back to your face. With so many options out there, it can be daunting to even begin. Don’t be overwhelmed by the choices laid out before you. 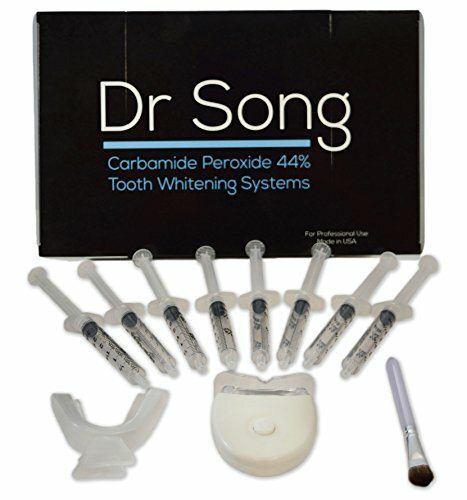 Take a look at this list of the top 10 teeth whitening products available at Amazon.com. It will take only a few clicks, and you will feel accomplished without even having to change out of your pajamas! The Facts: The Whitestrips are offered in 4 packages (20, 25, 40 or 80 treatments) and are eligible for free shipping, which is always a plus. This product boasts removing up to 14 years of stains over a period of 20 days for 30 minutes per day. The Good: It’s under $40, so it won’t make your credit card cry. These strips come with a no-slip grip, which means you don’t have to worry about them moving around, and you can even drink water. Whitestrips remove stains that are below the enamel to maximize effectiveness, and they do so without harming the enamel, which is important. Users have reported their teeth being a few shades whiter without having that fake, too-bright look. While some users have reported sensitivity while using this product, it is still a worthy investment that will pay off in the long run. The Facts: This kit comes with 8 syringes, which are good for 50 applications, a gel applicator brush for easy application and modification, an LED light to quicken the process, and teeth trays. You can switch up how often you use this product, with recommendations around 15-20 minutes per day a couple days a week, or even daily. The Good: Initial results appear after just a few days. With a gel applicator it’s easier to apply the gel more precisely and be sure you get all the nooks and crannies, especially if you haven’t had the benefit of braces. The the teeth trays are easy to mold to your teeth after tossing them into boiling water for a few seconds. Although you can’t eat, drink, or talk well with the trays on, it’s easy enough to do this at a time of day when you won’t be inconvenienced. The Facts: This easy-to-use kit involves filling up the mouth trays with gel and placing the tray into your mouth for only 5-15 minutes each day. The Good: You can cut the trays to better match your gum line, and use a Q-tip to touch up and ensure that the gel goes where you want it to. With a quick and painless procedure, this kit is a good contender. The Facts: The popular brand Crest makes a second appearance on this list with more well-loved strips. While the previously mentioned strips are said to whiten as well as a professional treatment, these still carry all the perks. The Good: You need only wear these for 30 minutes a day, without worrying that they will fall off, as these Whitestrips are also non-slip. These impressive strips also whiten your teeth 25 times better than whitening tooth paste alone. 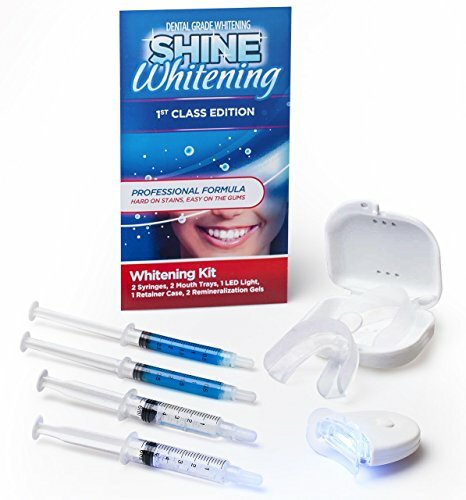 The Facts: This kit includes whitening gel, syringes, and a mouth tray, with enough product to last 15 treatments. The Good: This product can be used with ease and comfort and only has to be worn for 5-15 minutes daily. Users have reported results after only a few tries with minimal tooth sensitivity. The Facts: This kit comes with mouth trays, 2 10cc syringes, a gentle teeth solution, and a teeth whitening pen for when you’re on the go. Results are visible after just a few days of 15 minutes’ use. The Good: Upon purchasing you have access to free whitening solution, forever! 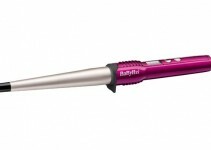 There is also a 100% money-back guarantee to put you at ease if this product is not for you. With a solution that is gentle on the teeth, you don’t have to worry about sensitivity or pain while brightening your smile. 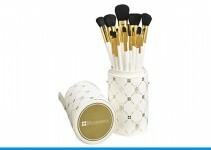 And for those who travel often and never leave the house without essentials, the whitening pen is an added bonus. It also comes with a handy color chart to check your whitening progress. 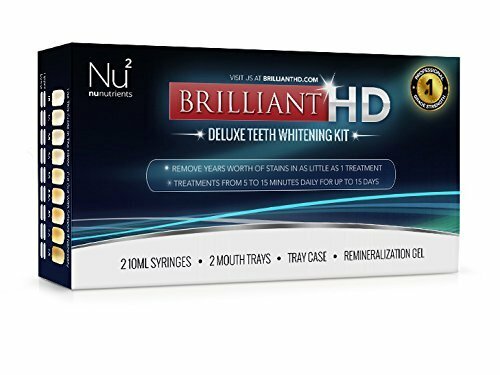 The Facts: This kit also contains a powerful whitening gel that offers minimal gum irritation and comfortable mouth trays. The Good: It takes only 2 hours to see results with this product. If the time limit makes you hesitate, don’t worry. You wear it only for 20 minutes 4 times, with 10 minute breaks in between. However, it is best to wait for night time or watch a movie while you wait. 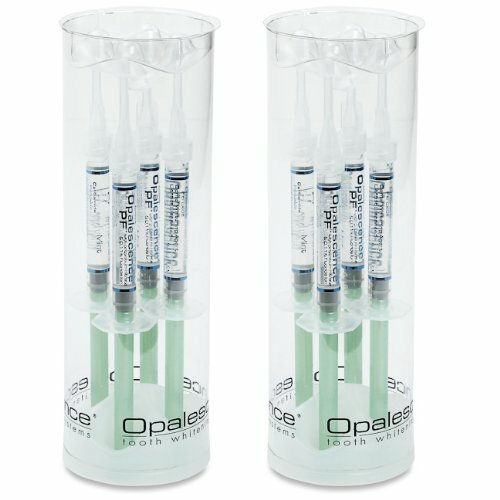 The Facts: This whitening kit comes with 8 syringes, 1.2 ML each, and whitening gel. While this kit does not come with teeth trays, they are fairly easy to get a hold of from your local grocery store. You can leave these on for 30 to 45 minutes daily, and the gel should last you for about 10 applications. The Good: The whitening gel comes in mint flavor, so you don’t have to recoil while you whiten your smile. The percentage of carbamide peroxide ensures quick and visible results. The Facts: This product contains only the whitening gel, so trays must be purchased separately, but the “5 minute” part is very attractive and makes up for the loss. 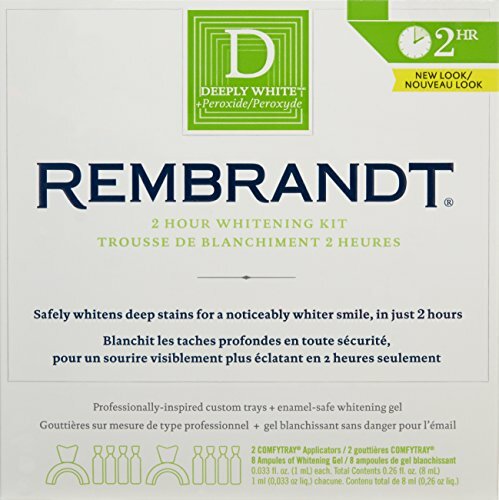 The Good: Besides the quick time limit this product offers, it is also specifically geared toward coffee and tea stains, as well as other stain-causing food or drink that can be tough to remove. If applied properly to avoid your gums, you can leave the product on for a bit longer without any harm done. It’s also hard to say no to the reasonable price that won’t even make a dent in your wallet. The Facts: This teeth whitening product is a very enticing all-natural alternative to all the chemicals. This product is a black powder that contains activated coconut shell charcoal. All you have to do is dip a wet tooth brush in it and brush your teeth with it for a few minutes. The Good: Activated charcoal has been known to pull out toxins, stains, and other impurities from your mouth. This helps balance the overall pH of your mouth, and improves bad breath and overall health of your mouth. Since this ingredient does a deep cleaning of your mouth, it makes removing stains from your teeth a lot easier as well as improving the state of your gums. It’s always worth trying nature’s way.